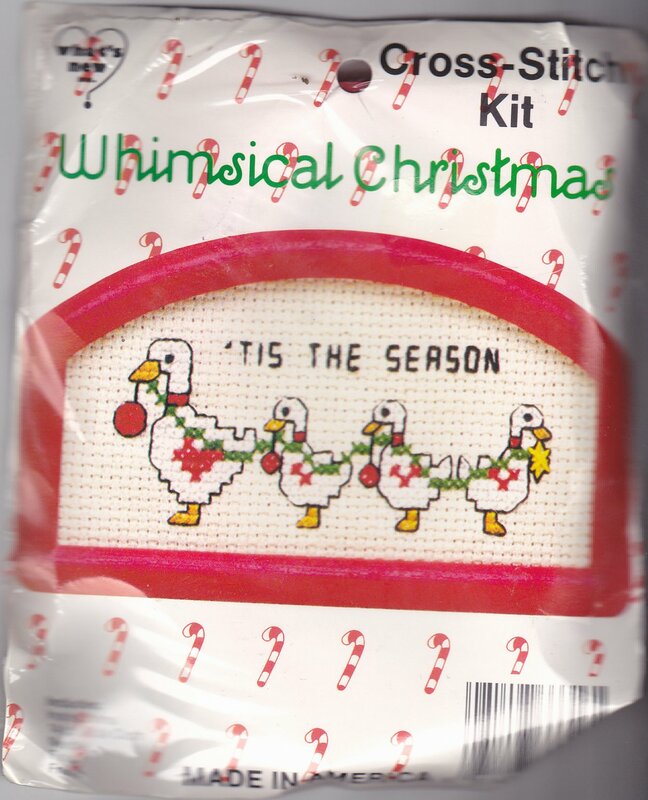 Unused, sealed cross stitch kit in with frame, instructions, 14 count fabric, floss, and a needle. I bought it secondhand. I am glad to combine shipping whenever possible.